Along with the energy policy development and people mind about energy saving is increasing, the usage of Low-E take more and more percentage in the construction, and argon gas filling to insulated glazing become more and more common. Due to the argon gas filling may bring great contribution to energy saving, the cost of gas filling is very low and it is easy to gas fill, most of Low-E glass manufacture usually do gas filling to their IG. When the usage of argon gas filled IG increase, how to measure the argon concentration in the IG units becomes the focus of study, and in the near future the test method will also be included to the national IG Standard. 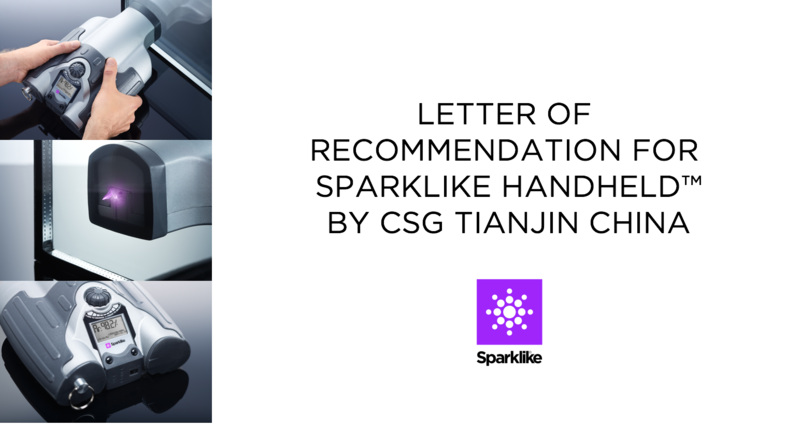 In 2008, we bought a mobile non-destructive argon gas analyzer (Sparklike Handheld™) from Sparklike, and since then Tianjin CSG has used it daily. The analyzer can easily and accurately measure the argon gas concentration in the gas filled IG with Low-E coating. The first generation analyzer we bought can only measure the concentration above 75% but the result is very high, however, the company may provide upgrade service and the second generation product is released which can measure the argon gas concentration above 50% with high accuracy. Our product is at the process of upgrading. Because the weight of argon gas is heavier than air, therefore the gas concentration is not even right after the gas filling, and we may have to measure the concentration after 8 hours after settlement. However, this will lead to the quality inspection stage, which is not good for the quality control whilst increase the rework rate. After communication with the equipment manufacturer, we obtained our own experience parameter after many practical tests with different size and shape which enabled us to make the measurement right after the gas filled IG production and achieve 90% as the initial gas concentration after 8 hours re-measurement. Therefore, such gas analyzer not only can achieve the function of inspection before delivery, but also may achieve the function of production process control, to prevent those un-necessary rework and give the volume production an instruction when the IG line is stable. After two years usage of handheld non-destructive argon gas analyzer, we have established a set of matured operation flow by ourselves which may fulfill the requirement from contract and customer on argon gas concentration completely whilst significantly lessens the risk of rework status, and prevent customer complaint. 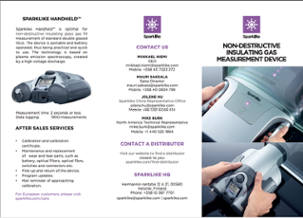 The mobile non-destructive argon gas analyzer produced by Sparklike Oy (Sparklike Handheld™), it is recognized by the end users due to its characteristics such as non-destructive test method which reduce the cost, easy use which only takes one second to measure, smart operation guide which shows error code, and shows the argon gas concentration measurement result in a way of clear and accurate. To keep reading why there's no need to break the insulating glass unit in order to conduct insulating glass unit's argon fill analysis, click this link.